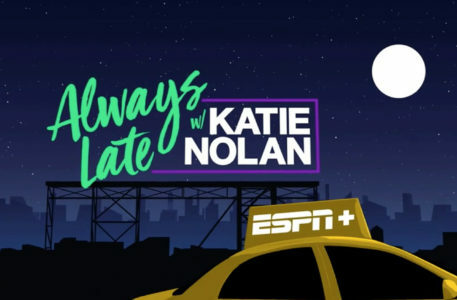 “Always Late w/ Katie Nolan,” a new original program on ESPN’s standalone streaming service ESPN+, has settled into the network’s South Street Seaport studios in New York City. The show takes on comedic late night formats in the vein of “Last Week Tonight” and “The Daily Show,” but with a sports-centric twist. 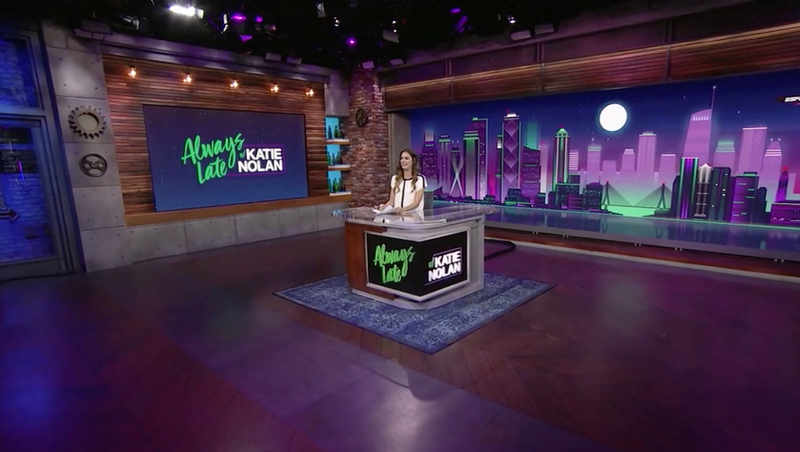 The show uses a color scheme of dark blue, bright green and violets in both its title card and primary background elements, which matches the studio’s updated lighting design for the program. During the show’s production, the studio’s large windows overlooking the East River are covered by tracking LED video panels with a geometric, almost neon noir skyline. Nolan delivers much of the show from a small desk in front of the video wall with a square footprint that’s fronted by branded panels. The new desk was designed by James Yates, who also designed the original studio. Updated lighting by Chris Watson at ESPN is used in conjunction with the original setup already designed and installed by FLDA for the studio. The new anchor desk was fabricated by Creative Dimensions with the motion graphics created by ESPN’s internal creative services team. 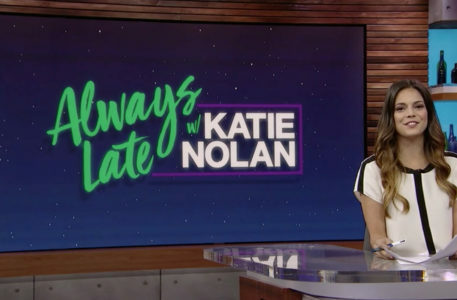 The show’s graphics use a flat, geometric style similar to the video wall background and depict Nolan, through the use of animation and silhouettes, “running late” for the show and racing to get to the studio. 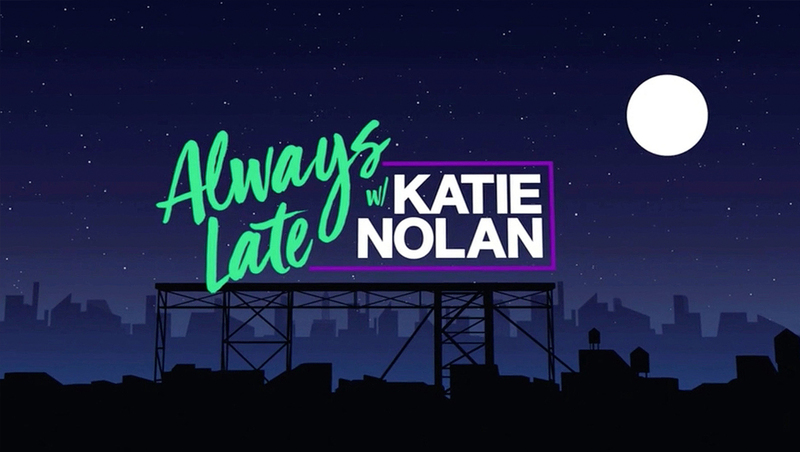 “Always Late” features a handwritten-style logotype with bold sans serif typeface for Nolan’s name, which is almost as prominent as the show’s title. Other graphics mix in textural elements that match the brick finishes of Studio 1.